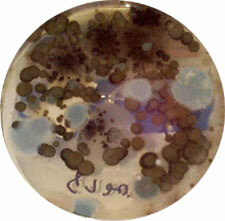 Culture and enumeration of the fungi present to genus level; some isolates to the species level. Malt extract agar used. May substitute other agars for xerophilic or hydrophilic fungi. Analysis can be from air, bulk or surface samples. Media, sterile containers and swabs are available from the laboratory. All fungi can be identified to the species level for an additional charge.